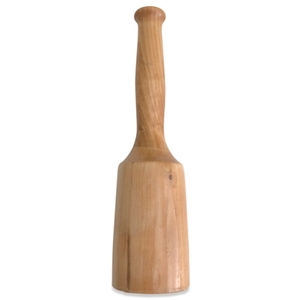 This birch wood carving mallet is designed for light to medium wood carving. Its handle fits well in your grip and is completely wax-coated to deter possible checking. Approximate height including mallet head and handle: 10.5". Approximate weight - 4.5 oz.